In June 2012, after his match against boxer Timothy Bradley, People’s Champ Manny Pacquiao built another home in General Santos City. 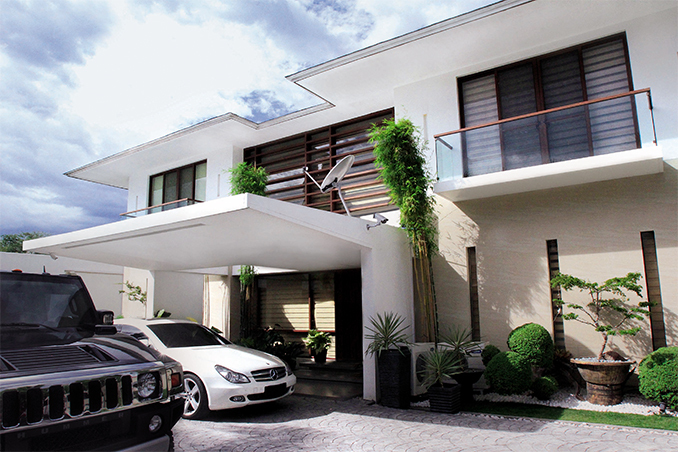 Unlike his old house that has Mediterranean design elements, this new one has a contemporary style. The building is defined by the clean, streamlined lines and the white walls, floors, and ceilings. Inside, it is furnished with modern pieces and tropical touches like wooden and woven details. Read the original article in the February 2013 issue of Yes! Magazine. To download a digital copy of YES! Magazine, visit Summit Newsstand at http://summitnewsstand.com.ph/yes-magazine.